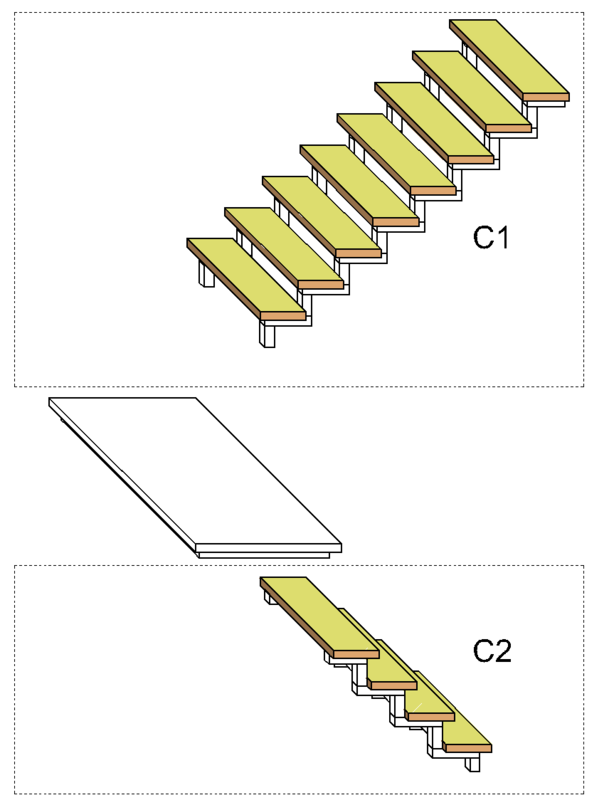 E – staircase landing width. 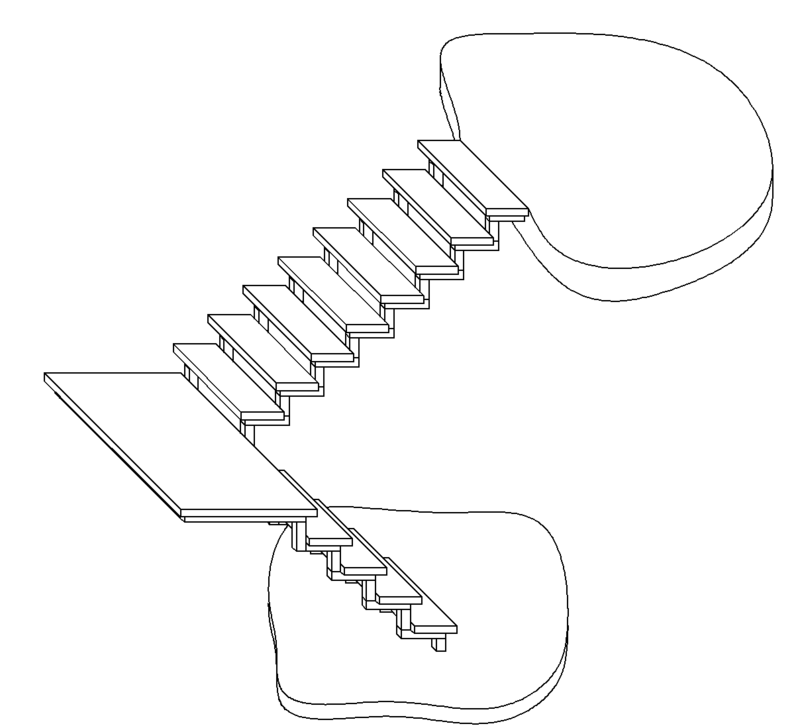 The number of stringers can differ. 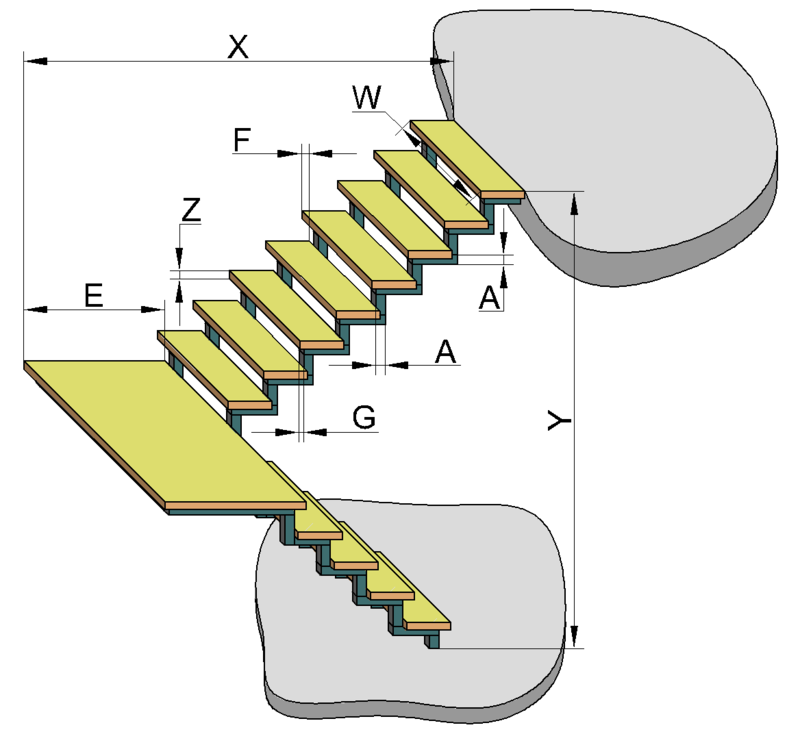 Information required for construction of staircase stringers, frames and landing.